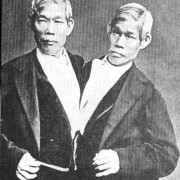 Chang and Eng were conjoined twin brothers whose birth place and condition became the basis for the term “Siamese twins”. 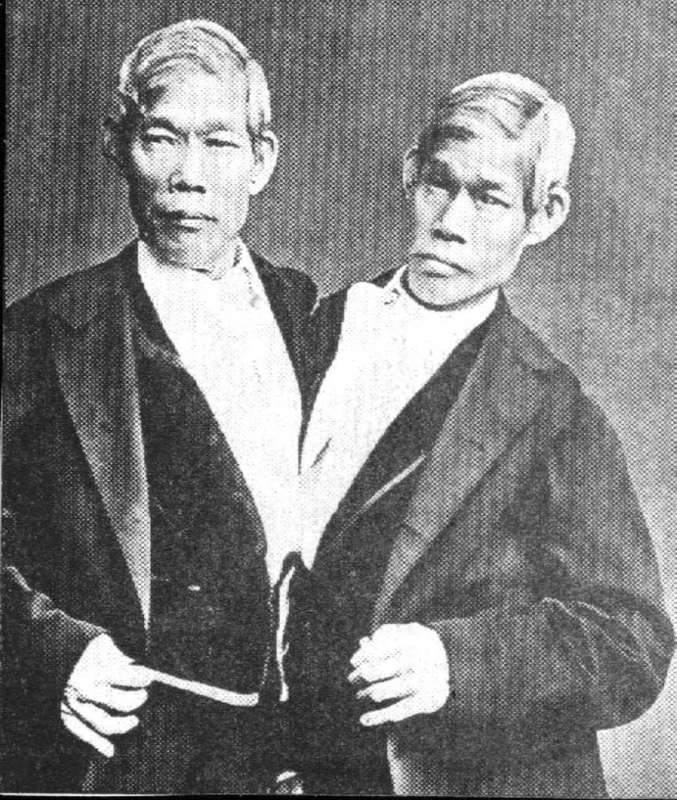 (Siam was the name off the current country Thailand at that time). They were joined at the sternum, and their livers were fused. Of course, someone tried to make money of their misfortune and they were brought to America in 1839 by a man named Robert Hunter. 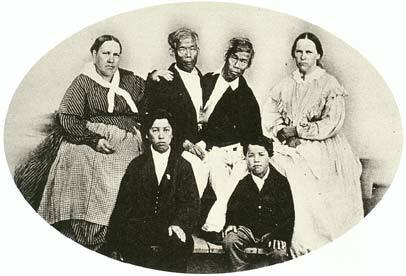 They were determined to live as normally as possible, and in 1839 they bought land in Wilkesboro NC. 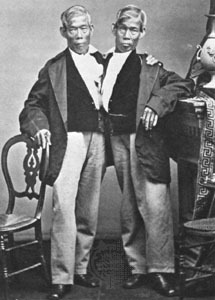 They married sisters in 1843. They shared a bed built for 4. 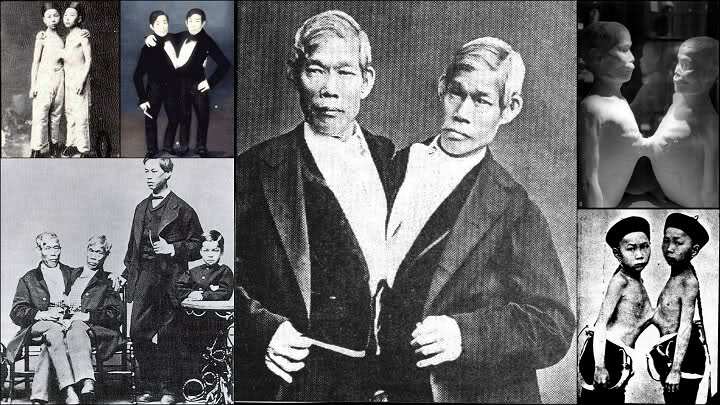 After a number of years the wives had a falling out, and separate households were set up, and the brothers would alternately spend 3 days at each house. With the strange life they were destined to lead, they maintained a high reputation for honesty and integrity, and were highly respected by their neighbors. And we think we have problems! We could could all learn a lesson from these guys about dealing with adversity. 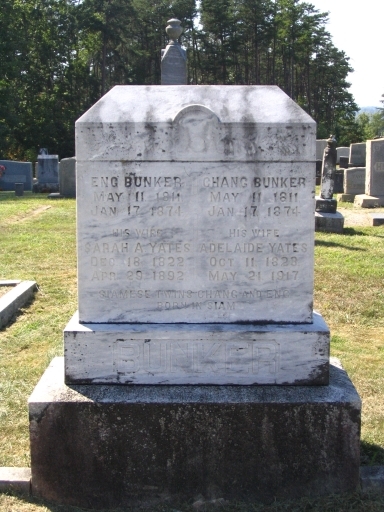 They are buried in The White Plains Baptist Church Cemetery in White Plains, North Carolina.